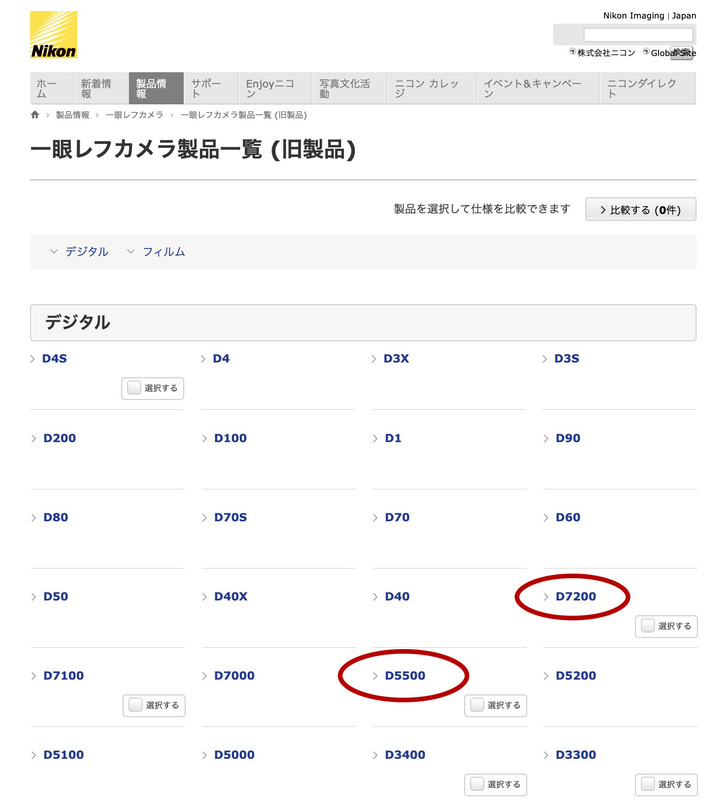 The Nikon D5500 and D7200 DSLRs have officially been discontinued, according to the Nikon Japan website. It’s been rumored for some time now, but as reported by Nikon Rumors, Nikon Japan has confirmed both APS-C cameras are discontinued on its website. The D5500 and D7200 were launched in January and March 2015 and were superseded by the D5600 and D7500, respectively. Another fun bit of trivia is the D5500 was the first Nikon DSLR to feature a touchscreen when launched. As Nikon’s APS-C lineup dwindles, it’ll be interesting to see how much Nikon invests into its crop sensor DSLRs going forward. Nikon Rumors also notes there hasn’t been much hearsay in the rumor mill regarding any potential APS-C mirrorless systems. It’s also worth noting that while listed as discontinued by Nikon Japan, the D5500 is still available for purchase at Adorama and currently listed as back-ordered on B&H, while the D7200 is still in stock at both Adorama and B&H.